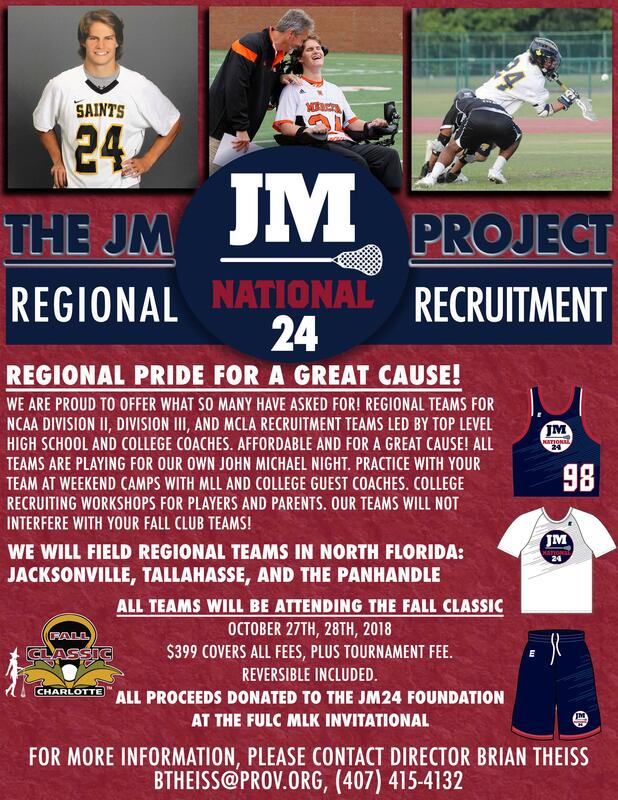 Regional Pride for a Great Cause! 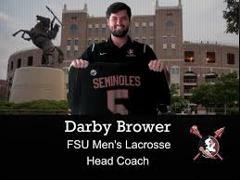 FOCUSING ON NCAA DIVISION II, III and MCLA Recruitment. We are proud to offer what so many have asked for! REGIONAL TEAMS for NCAA Division II, III and MCLA Recruitment teams led by top level high school and college coaches. Affordable and for a great cause! 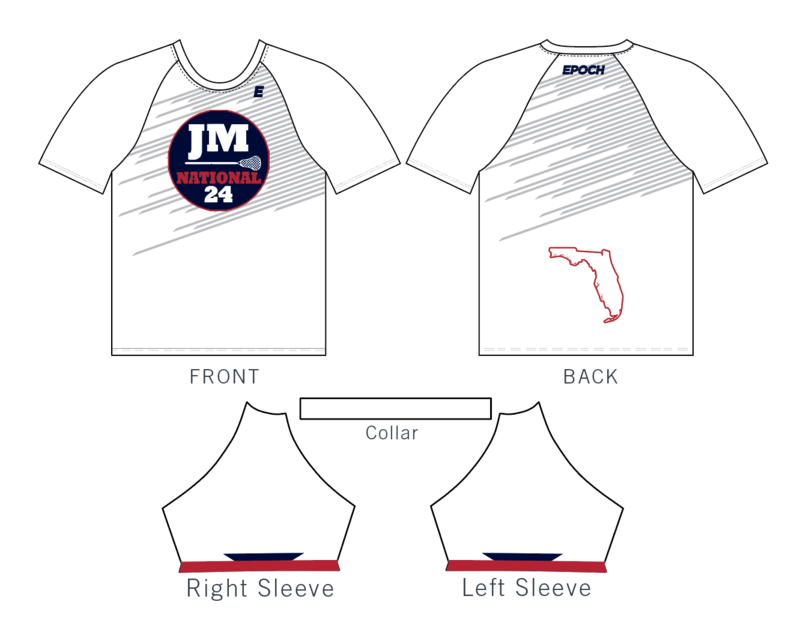 ALL PROCEEDS go to JM24 at the Veterans Day Invite in Palm Coast, FL. Practice with your team at weekend camps with MLL and college guest coaches. 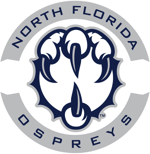 College Recruiting workshops for players and parents. Reversible and the event cost included. $399 for the ENTIRE fall program. Not a typo, $399. Easy travel to CHARLOTTE, NC; no costly flights needed. $399 Covers ALL Fees, plus tournament fee. Reversible Included. All PROCEEDS donated to The JM24 Foundation at the FULC EPOCH MLK KICK-OFF, January 2019. Includes: EVERYTHING! Individual Travel and Lodging NOT included. 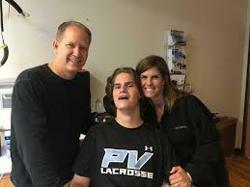 On Monday December 14th 2015, John Michael Night, only 17 years old, suffered a devastating brain stem stroke leaving him in what is medically referred to as Locked-In Syndrome (LIS). JM has played for many club teams in Florida and was a regular member of the PV Sandgnats Team. Bottom line is John Michael has been dealt a horrible card to say the very least! Immediate, intensive, and ongoing rehabilitation is critical to achieving the most optimal outcome. 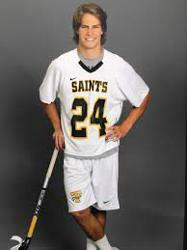 Just two weeks before his stroke, he signed a scholarship to play D1 lacrosse at Mercer University. This was the moment he always dreamed of and highlight of his young life… the reward for years of dedication and hard work on/off the field. John Michael and his family are facing a super long and financially taxing road ahead. They need your help and support to provide their son the very best chance at a full recovery. We’ve already been told that insurance will cover only a very small portion of the immensely costly rehabilitation needed. Sadly, insurance won’t cover the endless and ongoing support, care, and rehabilitation needed for John Michael’s lengthy recovery process. We have all the confidence in the world that John Michael will do his part to fight like a true warrior and we so desperately want to do our part in giving him every chance and opportunity to succeed. We know he will be a true inspiration to other brain stem stroke patients and any person or athlete going thru a traumatic life-changing event! ALL money raised will go directly into a designated recovery fund and only for John Michael’s rehabilitation. This is why we suit up; for JM24 and one of our own. Thank you for all the love, support and prayers for John Michael!